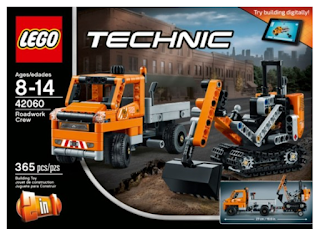 Best Buy has the LEGO - Technic Roadwork Crew on sale for just $17.99 (regularly $29.99). Plus shipping is free. 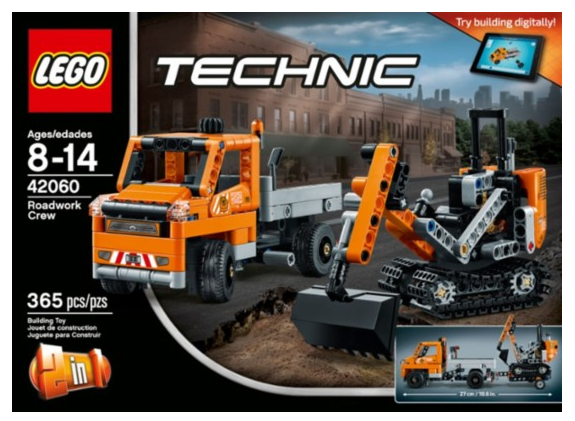 Create a construction scene with this two-in-one LEGO Technic Roadwork Crew play set. Its buildable flatbed trailer truck and tracked digger have working parts, so you can make them travel and work on the road together. Transform the two completed trucks of this 365-piece LEGO Technic Roadwork Crew play set into a mini gritter with plow to clear snow.